What does it take to be legendary? How about stamina, tenacity, admiration, a little something to believe in, and a touch of storybook mythology? Each year, mid-April handedly warrants legendary status; it’s a week full of happenings bookended by events that really are a part of the Stillwater essence and experience. Historically, Legends Weekend was just that, a Friday, Saturday and Sunday jam-packed with sports, live music, the arts, community events, and more. This year the calendar of events is spread over a ten-day timeline and for the first time, the Visit Stillwater team is branding the experience Legends WEEK. We encourage you to soak up your local, annual favorites as well as experience something not typically on your radar. April 14th – 23rd earns the name it deserves - Legends Week 2017- so be a legendary tourist in your own community! You’ll definitely want a road map to guide you through all of the Legends Week happenings. VisitStillwater.org/LegendsWeek will walk you through the week of festivities, perfect for the entire family. Here are a few of the bookended highlights to wet your appetite to begin planning your Legends Week experience! 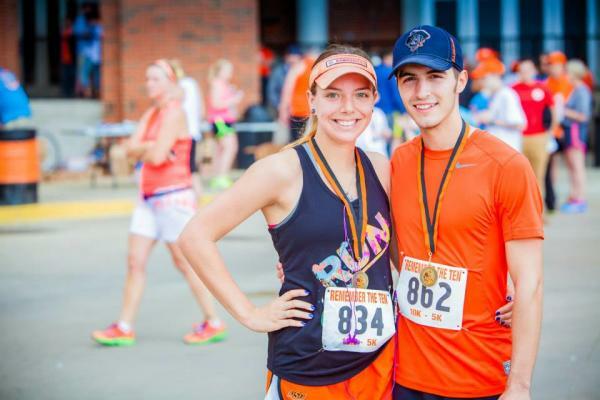 Legends Week rightfully begins with The 11th Annual Remember the Ten Run, comprised of a fun run, 5k and 10k, and honors the lives of the ten members of the Oklahoma State University family who perished on January 27, 2001. Online registration and volunteer opportunities are live at remembertheten.com. Be sure to follow event updates on the Remember the Ten Facebook page. Whether you’re wearing running shoes or cheering from the sidelines, after The Remember the Ten Run, head to Boone Pickens Stadium for the OSU Cowboy Football Spring Game. With free admission and an athlete meet & greet, the spring game will have you dreaming of fall tailgates in a sea of orange-covered fans. To finish off the first weekend of Legends Week 2017, you must snag a pair of tickets for Town and Gown Theatre’s rendition of To Kill A Mockingbird. Visit old friends from high school English class - Atticus, Boo, and Scout and be transported to that dusty courtroom of Maycomb, Alabama. To Kill A Mockingbird runs through Legends Week from April 13th – 16th and April 20th – 23rd. Start off the second weekend of legendary activities in Stillwater with the first Friday Food Trucks & Tunes of the season on April 21st. Spend the evening in Downtown Stillwater from 6pm – 10pm. Fill up on local food truck cuisine and enjoy Stillwater’s live music scene. 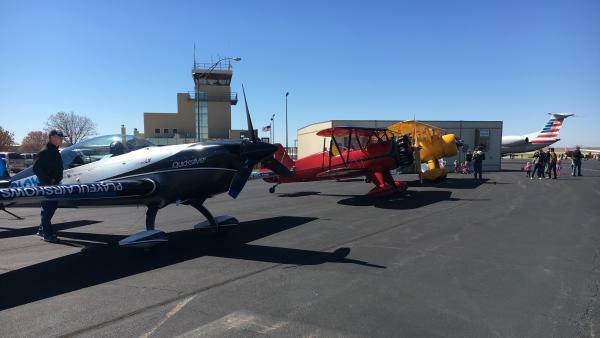 On Saturday, April 22nd, don’t miss the 3rd Annual OSU Flying Aggies Fly-In with aircraft displays, a sky-high demonstration from the flight team, and airplane rides! The Flying Aggies will be holding a lunch fundraiser at the Stillwater Regional Airport as well! Rounding out Legends Week with the 40th Annual Stillwater Arts Festival certainly is the perfect finale to a jam-packed week. The two-day juried festival attracts artists from across the United States who display a wide variety of artistic mediums including paintings, pottery, jewelry, screen print, sculptures, and more. Legends Week is bookended beautifully with iconic Stillwater happenings, but don’t forget to embrace the Legends experience mid-week as well. Test your trivia knowledge over local brews, try out a yoga class in the gardens, or cheer on our Cowgirls. Take time to soak up and share your experiences with friends, family, and visitors in a place we think is pretty legendary by using #legendsweek2017 and enter to win a pair of tickets to the OSU Cowboy Football season opener on September 2nd! 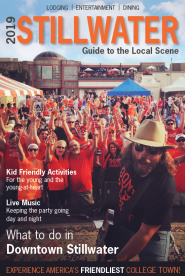 Subscribe to receive your monthly copy of Stillwater Living Magazine and check some of the most recent issues on their website as well!